Performance Music at The University of Scranton will present “In Recital: Violinist Kako Miura”Friday, April 26, 7:30 p.m. and “In Concert: University of Scranton String Orchestra with guest soloist Kako Miura” Saturday, April 27, 7:30 p.m. Both performances will take place in the University’s Houlihan-McLean Center. Admission is free. Performance Music at The University of Scranton will once again play host to popularly and critically acclaimed violinist Kako Miura the weekend of April 26-27. On Friday, April 26, Miura will perform a recital at 7:30 p.m. in the Houlihan-McLean Center, Mulberry Street and Jefferson Avenue. Then, on Saturday, April 27, at 7:30 p.m., Miura will return to Houlihan-McLean to perform as guest soloist at a concert by The University of Scranton String Orchestra. Admission to both shows is free, with seating on a first-come, first-seated basis. In addition, Miura will offer a strings masterclass that weekend. The class is open to local amateur and professional strings musicians, ages 16 and up. Those interested in taking part should email music@scranton.edu for more information. This will mark the fourth time Miura has performed at the University. Miura’s programs are always “exciting, eclectic, inspiring,” according to Cheryl Y. Boga, Performance Music conductor and director. The program she will perform in Scranton will be the same one she will perform in Los Angeles one week earlier. 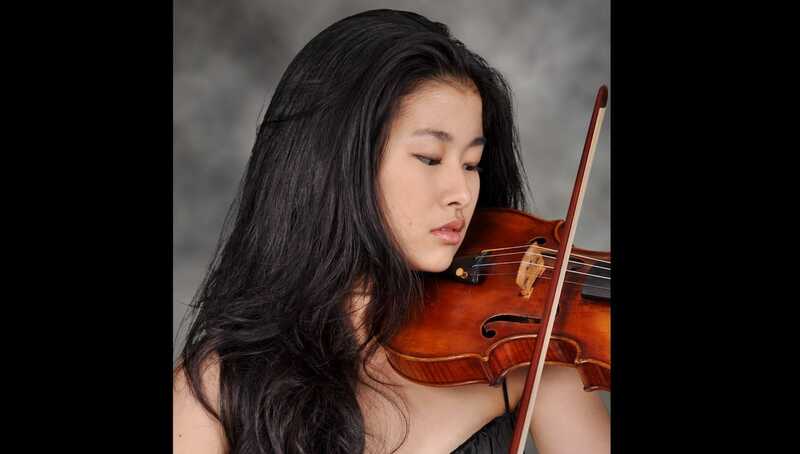 A 2017 graduate of The Juilliard School, Miura is currently completing her master’s degree in violin performance on a full scholarship to the prestigious Colburn Conservatory of Music in Los Angeles, where she is a student of the renowned Robert Lipsett, who holds the Jascha Heifetz Distinguished Violin Chair. As an undergraduate at Juilliard, she was a student of Masao Kawasaki. A recipient of numerous prestigious awards in both Australia and the United States, Miura has had solo and chamber music performances at such distinguished venues as Lincoln Center’s Alice Tully Hall, Carnegie Hall’s Weill Recital Hall and Zankel Hall, the Sydney Opera House and the Aspen Music Festival. In addition, she is a member of the classical contemporary music ensembles Kaleidoscope Chamber Orchestra and Kontrapunktus Baroque. Miura has participated in the National Arts Centre’s Young Artists Program in Ottawa and the Aspen Music Festival. She also took part in the Heifetz International Music Institute Ashkenasi Kirshbaum Chamber Music Seminar in 2016 and the Taos School of Music chamber music program in 2017. The University of Scranton String Orchestra is a 30-member ensemble comprised of members of the University community – mostly undergraduate students, with a few members of the faculty and staff – who play violin, viola, cello or string bass and are brought together by a mutual love of making music. The ensemble performs four or five times per academic year, with most performances open to the public and free of charge. For further information on the concerts, call 570-941-7624, email music@scranton.edu or visit scranton.edu/music.